Call it calamatious, farcical, unfortunate, crazy, all could be apt descriptions of Lee Beevers own goal at windy Wincham Park that decided Matlock Town’s latest Evo-Stik NPL Premier Division clash. With the Gladiators unable to respond at the other end, it meant a third successive defeat and a third game without scoring while Matlock’s record of not keeping a clean sheet stretched to fifteen league and cup matches. The goal arrived six minutes into the second half, with Matlock having survived the worst of the conditions. Hopes were high in the visitors camp of finishing Witton off after holding them relatively comfortably in the opening half. Witton had looked dangerous towards the end of that first forty five minutes, skipper Rob Hopley clattering a header against the bar in the 41st minute. That was the closest either side came before the interval in a game of few clear cut opportunities. For Matlock, debutant Greg Tempest was unfortunate not to celebrate with a 13th minute goal from a neatly constructed attack. His daisycutter, well struck, was superbly held by home custodian Greg Hall. Craig King drove too high from distance when Albion could only partially clear a 28th minute corner. King was employed in a central midfield role until resuming his wing duties in the second half. Ashton Hall, wearing the number five shirt in place of Dwayne Wiley, produced a magnificent clearing 23rd minute challenge to deny Hopley his skipper Adam Yates also covering well to keep Albion quiet. Ross Durrant had also kept out a Will Jones header from Danny McKenna’s centre. Wiley replaced Hall for the second half with Matlock having looked to have the difficult work done. Luke Hinsley’s cross from the right was headed powerfully and narrowly wide by Craig Westcarr within three minutes of the resumption before disaster struck when BEEVERS knocked a nothing ball from Albion past Ross Durrant. Beevers’ intentions were certainly honourable, it was most probably one of those nightmare moments that every defender might go through at some point. Tempest would soon lift his twenty yarder a foot too high when a corner eventually reached him and Josh Wardle bravely blocked a Michael Hollingsworth shot from Craig Westcarr’s cross to the back stick. 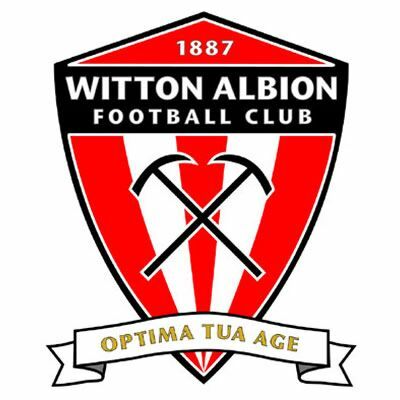 Witton won a free kick taken by Danny McKenna twenty five yards out which Durrant smuggled aside before the Gladiators were unlucky twice in quick succession as defender River Humphries almost heroically cleared Westcarr’s header off the line and Yates on the follow up seeing his shot somehow deflected over by an Albion defender who knew virtually nothing about it. Witton hung on to their slender lead with Luke Hinsley hurrying his finish at the far post when he had more time to bring a left wing cross from King under control. Matlock deserved a point from a poor game which neither side deserved to win. Conditions were testing for both sides but nowhere near as difficult as in the Gladiators’ recent win at Whitby. A bonus on a bad day was Michael Williams managing twenty odd minutes from the substitutes bench after over three months out through injury. For the second successive week, it was an opportunity lost to challenge the other play-off chasing teams. Again Matlock failed to produce the goods, a fact not lost on boss Dave Frecklington. “A big thanks to all the @_MatlockTownFC supporters that turned up today” he tweeted. “Haven’t been good enough last three games. As manager it’s my responsibility to get results and last 3 we’ve been nowhere near. Looking forward to 3 big home games now. Let’s see what we’re all about”. Scarborough Athletic start that run on Saturday when Matlock need to register not only their first point of the new year, but score their first goal.